Philosophy of Mind in the Early and High Middle Ages provides an outstanding overview to a tumultuous 900-year period of discovery, innovation, and intellectual controversy that began with the Roman senator Boethius (c480-524) and concluded with the Franciscan theologian and philosopher John Duns Scotus (c1266-1308). Relatively neglected in philosophy of mind, this volume highlights the importance of philosophers such as Abelard, Duns Scotus, and the Persian philosopher and polymath Avicenna to the history of philosophy of mind. 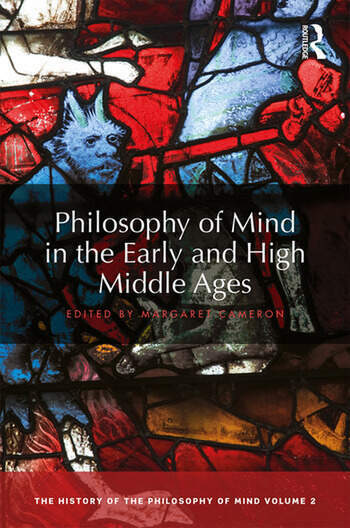 Essential reading for students and researchers in philosophy of mind, medieval philosophy, and the history of philosophy, Philosophy of Mind in the Early and High Middle Ages is also a valuable resource for those in related disciplines such as Religion. 12. The Self John Marenbon. Margaret Cameron is Canada Research Council Chair in the Aristotelian Tradition (Tier II) and an associate professor in the Department of Philosophy at the University of Victoria, Canada. She works in the Aristotelian tradition of logic and philosophy of language, as well as the history of the philosophy of language more broadly, and has published articles in The Cambridge Companion to Boethius, The Oxford Handbook of Medieval Philosophy, Vivarium, History of Philosophy Quarterly, American Catholic Philosophy Quarterly, and the Archives d’histoire doctrinale du moyen âge grec et latin, as well as in a number of other book publications.